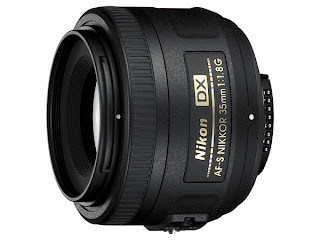 The Nikon AF-S DX 35mm f/1.8G lens is designed for use exclusively with the Nikon DX-format (1.5x crop factor). With a wide aperture of f/1.8, the AF-S 35mm lens is equivalent to 52mm on a 35mm frame, which makes it the ideal “normal” lens replacement for Nikon DX-format DSLRs. The inclusion of the a AF motor inside the lens makes it a great prime lens for D40/D60 users. The AF-S DX 35mm f/1.8 lens should be available in March 2009 for $199.95. Check availability on Amazon.com.